Mark Cuban is probably best known by most people as owner of the Dallas Mavericks NBA team or as a panelist on the reality television series, “Shark Tank” that enables entrepreneurs to showcase their businesses to a panel of investors. 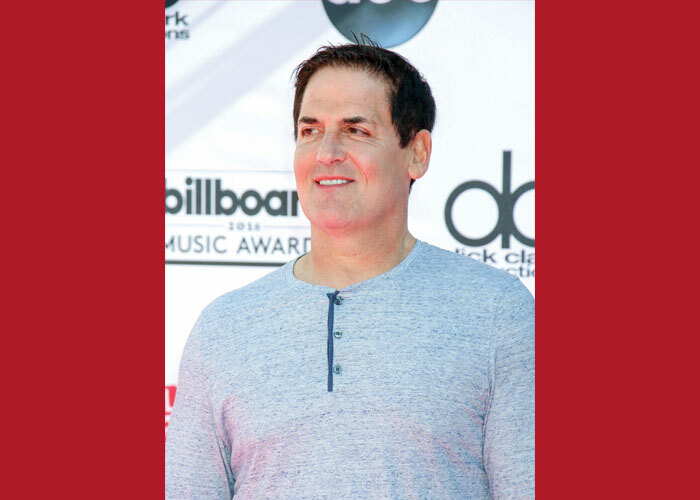 With a net worth estimated to be over $3 billion, Cuban is a textbook example of a successful entrepreneur, a maverick who trusts his intuition and blazes his own path to success without allowing himself or others to pigeonhole him. So how did a nice boy from Pittsburgh, son of a car upholsterer, wind up being an LGBT ally and an Athlete Ally advisory board member whose role involves advising the group on programming to make sports a more welcome place for gay athletes and fans? Perhaps it’s because in true entrepreneurial fashion, Cuban doesn’t really care what other people think about him, a trait that’s evidenced by his outspokenness, and he has over $2 million in NBA fines for years of controversial comments to prove it. Following NBA player Jason Collins’ courageous and historic coming out in 2013 and former Missouri defensive end Michael Sam’s coming out the next year, Cuban appeared on CNN’s “Piers Morgan Live” show in 2014 and said that coming out as a gay athlete is a “non-event.” Rather than being dismissive, Cuban was actually paying tribute to the progress that had been made. “It actually, literally, is a non-event,” Cuban said. “Ever since Jason came out and MLS player Robbie [Rogers], it’s changed radically. How many states now allow gay marriage? And [homosexuality] has become so accepted, it’s a non-event. Just in the span of six, 12 months, it’s changed dramatically.” Of course then as now, there are many on both sides of the issue who don’t agree with him; some not seeing it as a welcome sign of progress and others not seeing it as enough progress. But Cuban is one who views society with a “glass half full” lens. Cuban has always had that talent for spotting “glass half full” opportunities and been willing to work for what he wants. But he’s never followed the standard linear path to achievement, instead often leapfrogging his way forward. Starting at age 12 he sold garbage bags to earn money to buy a pair of shoes he liked and then started earning money in high school as a stamp and coin salesman. But his hustle didn’t stop there. During his junior year in high school he started taking psychology classes at the University of Pittsburgh. It prompted him to skip his senior year and enroll in college full-time. After a year at at Pitt, he transferred to Indiana University where, in order to continue paying for his education, he started giving dance lessons that morphed into hosting what’s been described as “lavish disco parties.” It was here he and business partner and fellow Indiana alumnus Todd Wagner launched into the media business that became the bedrock of Cuban’s wealth. But it was launched partly because he wanted to listen to Indiana Hoosier basketball games online, something that puts his purchase of the Mavericks in a new perspective. Perhaps the following statement Cuban wrote in 2013 best describes his role as an ally in the sports diversity movement: “It’s a new world. Everyone should know that they can be themselves in sports. Leagues like the NBA, their teams and players have a great opportunity to set an example and spread a message to people who are either LGBT or straight that our culture should be celebrated for diversity and individual authenticity.” I couldn’t agree more! Connie Wardman is Compete Magazine’s editor-in-chief. As a band geek, she played for every school sporting event held and she’s a die-hard Pittsburgh Steelers fan.